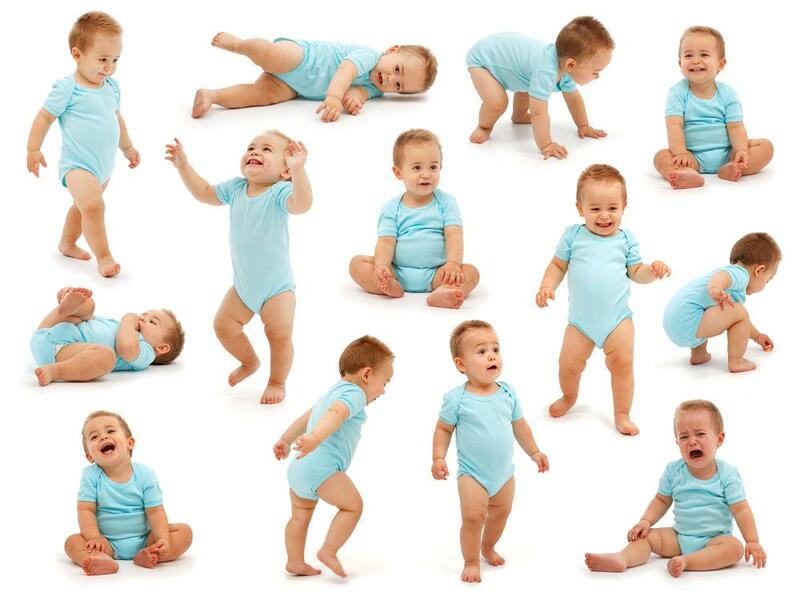 Clearly, most babies tend to be playful between the age of 4-15 months of their upbringing. Take advantage of this as a way of encouraging your baby to sit firmly and confidently. You can roll a ball to the baby in order for him to roll it back to you. That way, he tends to forget his fear in sitting and focuses on the rolling of the ball. You can also introduce stacking games to the baby to help the baby enhance it’s muscles. At early stages, the baby tends to be closely bonded to the parent such that they do not want to be an inch away. Therefore, while at her knees, she will try all means she can to crawl to where you are. Eventually, this becomes a game whereby all fear of falling while crawling tends to vanish. It is advisable for you to let the baby get to your point as a way of encouraging her through the crawling journey. Babies tend to get super excited at being praised by their parents. This is a good way of encouraging her that she is going to make it through. The more you keep praising her, the more puts more effort to keep doing it better than she had done it before..
As the baby’s muscles become firm and strong, curiosity also builds in the baby. Therefore, at around 8 months of age she begins pulling herself up using objects or the parents in an attempt to stand. When you realize that your baby is at the stage of pulling herself up, it is up to you as a parent to control what she uses. Always ensure that the surrounding objects are safe and certain for the baby’s safety. This may mean a stable table without dangerous objects, the mom dad and so on. Keep the baby away from the kitchen place as they may attempt to pull themselves up using a sufuria on fire or just something dangerous. The baby should also learn how to bend her knees during her pulling up. This can be achieved by dropping something for the baby to pick up soon after she is up. After managing to pull herself up, the baby begins to attempt walking. This happens at the age of between 8-9 months. During this stage, practice is the only secret if your baby is to gain confidence to walk in future. It helps them to get used to standing on their feet and to make movements confidently. Cruising refers to the stage whereby the baby begins using the surrounding wall and furniture to get around. This occur between the age of 8-9 months depending on the baby. Although cruising stage must be there in the learning stage of a baby, eventually discourage him to hold on to the walls or furniture. You can occasionally pull the table and move with it encouraging the baby to walk so as to reach you. At the age of about 10-12 months, the baby should be in a position to stand alone. This is all dependant on gaining balance. In order to encourage your baby to stand, you can sit down with him and help him to stand up. Since the baby is at the imitating stage, this should be easy. 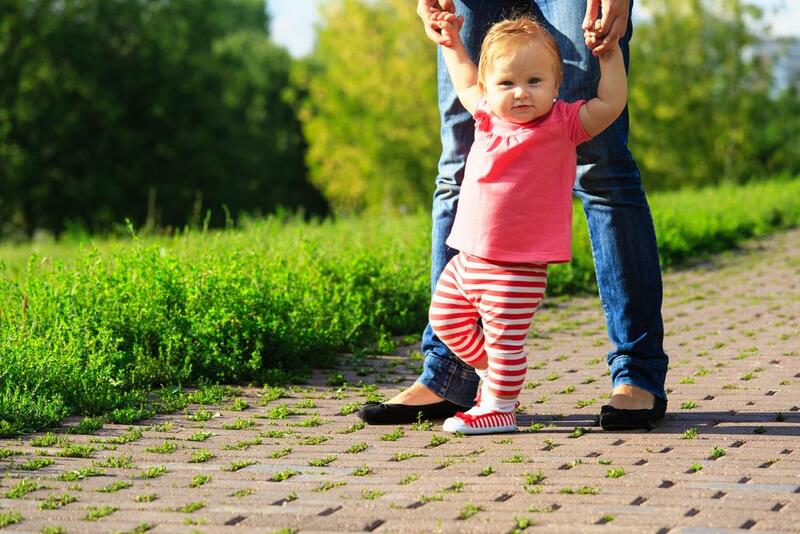 Although some babies take too long to learn how to walk, most of them walk between the age of 12-15 months. 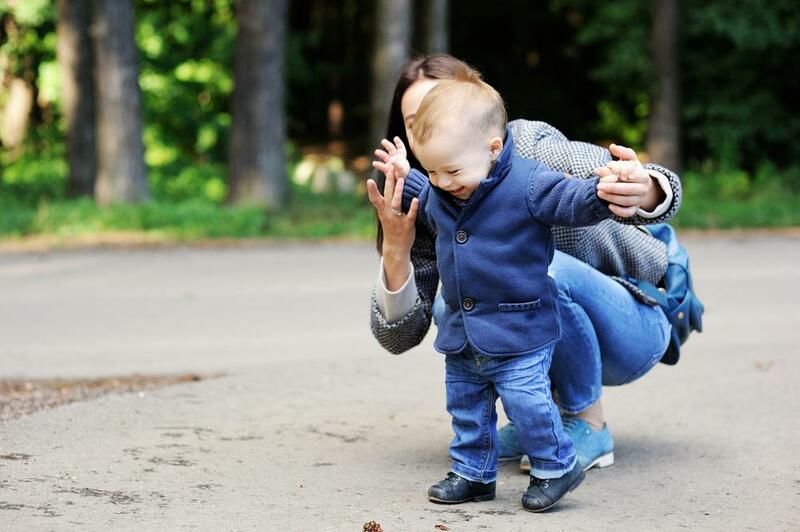 Since the previous stages have built enough confidence for the baby to walk, now set him in a position to walk. Ensure that there are no obstacles along the way that may cause him to fall thus instilling fear in them. Thank you so much for such a nice and informative article about the baby walk. I’m so much excited because of my sweet baby growing up perfectly. My baby starting step to walk. This is one of the best memorable moment in my life. I need a suggestion from you. One of my friend suggests me to buy an Baby Stroller for my baby. But I’m confused about its health value. Is it good for health? If you have any suggestion please leave your valuable comment.